They hung a Cougar flag on the Airstream when they camped at Rocky Mountain National Park and elsewhere along the way, getting ready to join the WSU community. However, this wasn’t the first visit to Washington for the Schulzes since his presidency was announced in late March. Soon after accepting the position, they visited WSU locations all over Washington, meeting alumni, faculty, state leaders, and students, while preparing to lead the next era at the University. Many people also got to know the new first family through social media, as both Kirk and Noel Schulz are avid Twitter users—including regular photos of their trip and moving into the president’s residence. Kirk Schulz has an easy smile and down-to-earth manner that puts people at ease, and his priority is clear to anyone he speaks to: access to high-quality, affordable education at a premiere research university. Before WSU, before Kansas State, the road began for Kirk Schulz at Old Dominion University in Norfolk, Virginia. His father, Carl, was a mathematics professor there since 1961. His mother was a geography instructor. He remembers the Chronicle of Higher Education on the family’s coffee table. He also grew fond of the natural world as the Schulz family camped at Shenandoah National Park, often for Boy Scouts. Originally, Kirk set out to be a medical doctor, even though aptitude tests all told him to go into engineering, he says with a laugh. He began his chemistry degree at Old Dominion, but transferred to Virginia Tech once he realized that chemical engineering was more his forte. That move changed his life. He completed his undergraduate degree and then his doctoral program at Virginia Tech, but he aspired to leadership. His research advisor, David Cox, said at Kirk’s Kansas State inauguration that Kirk had told him back at Virginia Tech that he hoped to become a university president. His life changed significantly at a Baptist Student Union volleyball game as well. There he met a freshman from Blacksburg, Virginia, named Noel Nunnally. They hit it off, but both were dating other people until a spring break mission trip to Kentucky repairing homes for people in poor areas of Appalachia in 1985. “I got back, dumped my boyfriend, and told Kirk I wanted to go out. The rest is history,” says Noel. The two were married by the minister who introduced them at the volleyball game, which set them on the road to a strong marriage and partnership. They have two sons, Tim and Andrew. Attending Virginia Tech also infused the Schulzes with an understanding and appreciation of the land-grant mission. Like WSU, Virginia Tech has well-established veterinary medicine, engineering, and agriculture programs. “I love the importance of land-grant universities to states, the idea that a lot of land grants are easy to get into and hard to get out of. We’ll give you a shot; you’ll have to come and work really hard,” he says. Kirk started his teaching career in chemical engineering at the University of North Dakota, followed by several years at Michigan Tech. He says his time as a professor was crucial to his future role as a president. He moved into administration at Mississippi State University, another land-grant institution, where he went from director of their chemical engineering program to dean and finally to vice president for research and economic development. He spent seven years there before reaching his next destination in 2009: president of Kansas State University. Over seven years, he led Kansas State to record enrollment, large increases in private giving, and a heightened research profile. After previous President Elson S. Floyd’s death in June 2015, the WSU Board of Regents started to search for a new leader. The regents appointed an advisory group of 25 people from a broad cross-section of WSU and the state. The strength of the candidate pool impressed Worthy and the search group. Hundreds applied, says Worthy, but it crystallized to eight and then three. Kirk Schulz rose to the top, eventually becoming the unanimous choice of the Board of Regents. “He’s straightforward, someone you can sit down and talk to. He had done his homework and was already very articulate about WSU,” says Worthy. Kirk Schulz says the WSU opportunity appealed to him for three reasons. First was the land-grant mission of access to higher education, which motivated him throughout his career. He saw the state of Washington’s commitment to continuing that tradition by keeping costs under control, which offered a second incentive. The third reason was the prospect of starting a medical school. “The opportunity to start and build from scratch a publicly-funded medical school at a land-grant university really intrigued me,” he says. The Schulzes pulled into the president’s residence to officially begin work on June 13. They settled into the new place—along with their cats Amber and Onyx, and their young Corgi, Cayenne. Cayenne loves the big backyard, according to her Twitter feed. 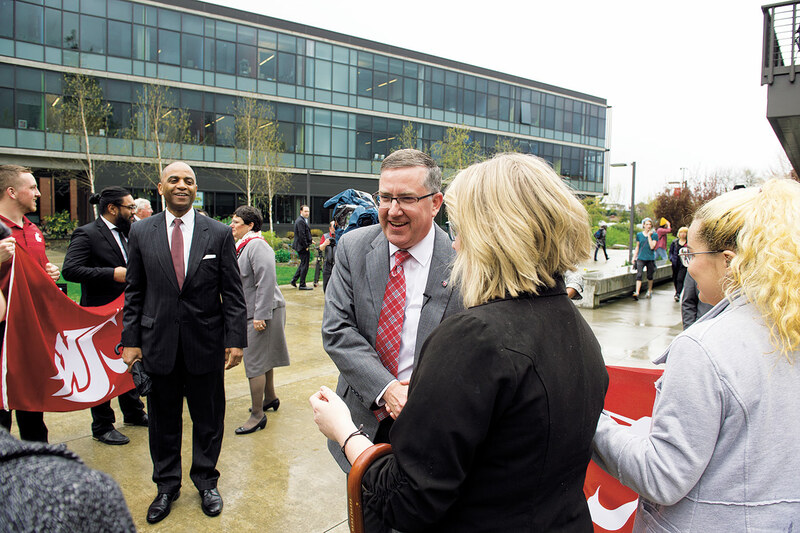 Now that they’ve parked the Airstream in Pullman, Kirk continues the rigorous work of leading the University, getting to know WSU, and articulating his vision. The new president says another major piece of his work is garnering resources for WSU’s programs. “I’m here to provide faculty with the resources they need to do great research and teaching, and our students to have an affordable education with first-class facilities,” he says. Both vision and resources serve the land-grant mission of WSU: accessible education for state residents, and research that benefits the state and world. The president emphasizes that includes a robust undergraduate research program. Kirk Schulz wants to promote a top-notch student experience, but WSU should be selective and make sure those students have skills to succeed. A facet of the student experience, shared with faculty, staff, alumni, and others, is the camaraderie and affinity with Cougar athletics. Both Kirk and Noel are sports fans, and Kirk was chair of the NCAA Board of Governors. But he knows it goes beyond the games. “I can’t get out there and call plays and get in the coach’s business, but what a president can do—and President Floyd did this—is recognize part of Washington State’s brand identity nationally is Cougar athletics,” he says. He knows personally the dedication of student-athletes, 99 percent of whom are there to get a degree. Noel was a tennis player at Virginia Tech as well as an electrical engineering student. At sports events and elsewhere, Noel and Kirk say they love to meet the WSU community and people around the state. They don’t want anyone to be shy. They enjoy movies and dining out, and have already developed an affinity for Cougar Gold cheese. “I know what I’m sending for Christmas gifts this year,” says Kirk. Another draw of the Pacific Northwest was the natural beauty and camping opportunities. That could include a dream trip to Montana next year. “I’ve wanted to go to Glacier National Park for 30 years. Now we’re finally close enough that we can finally do it,” he says. 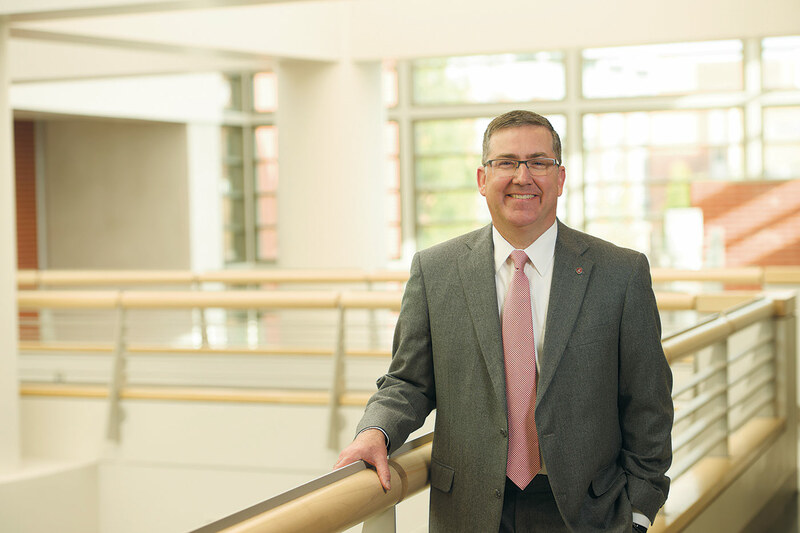 Before they can travel next year, though, the president sees the challenges on the near horizon: managing budget issues in athletics, shepherding the new medical school’s development, beefing up the research presence, and getting to know WSU in depth. 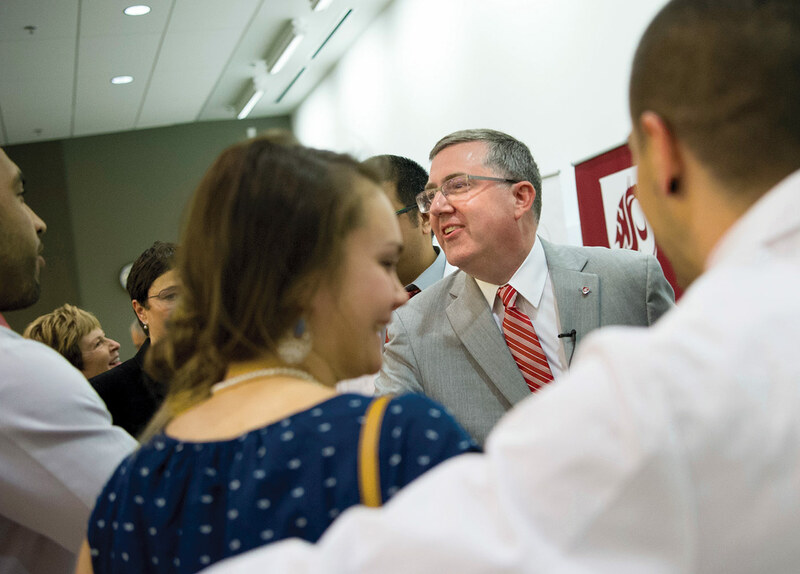 Through it all, WSU’s new president wants to make sure everyone knows and participates in the direction of the University. Whether it’s Twitter or face-to-face, Kirk will let people know what’s happening with his work as president, and in turn listen to them. Years before they moved to Pullman, Noel Schulz was tuned into WSU. An electrical engineer, she knew the power engineering program at Washington State would be a fit. Noel Schulz grew up around the field, with an electrical engineering professor father. She excelled in math and science, and loved engineering. “I even had resistor earrings,” she says. After getting her degree at Virginia Tech, and later her doctorate at the University of Minnesota, she taught and did research at Mississippi State and Kansas State. About ten years ago, Ed Schweitzer ’77 PhD, the power systems pioneer who started Schweitzer Engineering Laboratories, called her up. “He said I should apply for a job at Washington State,” she says. The timing didn’t work out, but she did work with SEL. 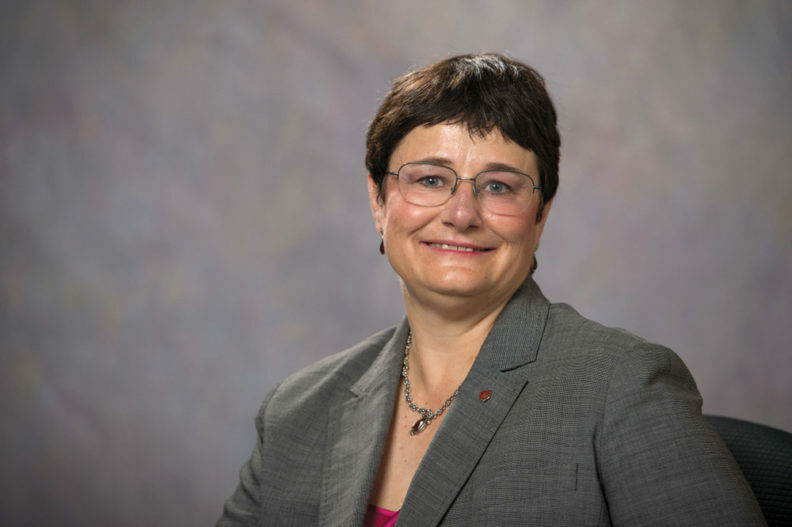 Noel also led in professional organizations, becoming president of the Power and Energy Society in the Institute of Electrical and Electronics Engineers, only the second woman president in 130 years. Noel has diligently pursued ways to bring more women faculty and students into engineering and science. “We’re not going to have enough engineers unless we recruit women and minorities. I want to complement what’s being done at WSU,” she says. Another passion is rural electrification and microgrids around the world, particularly in Ethiopia where Noel has worked to bring lights and power.